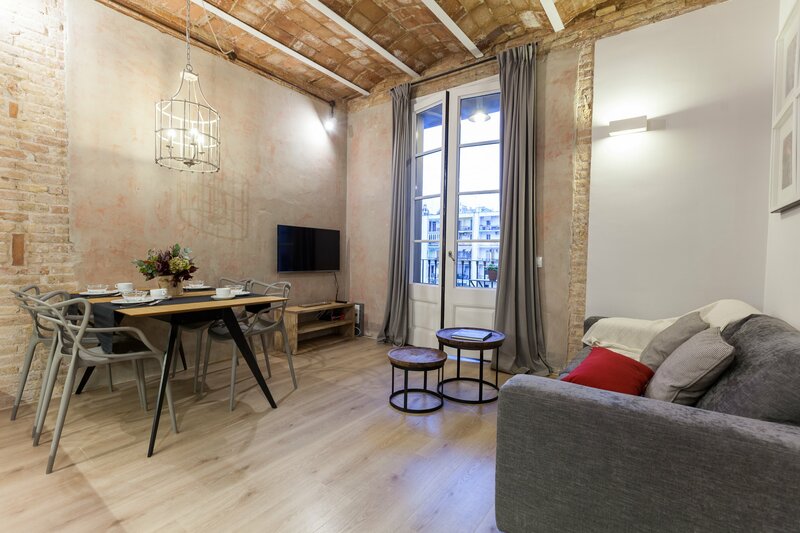 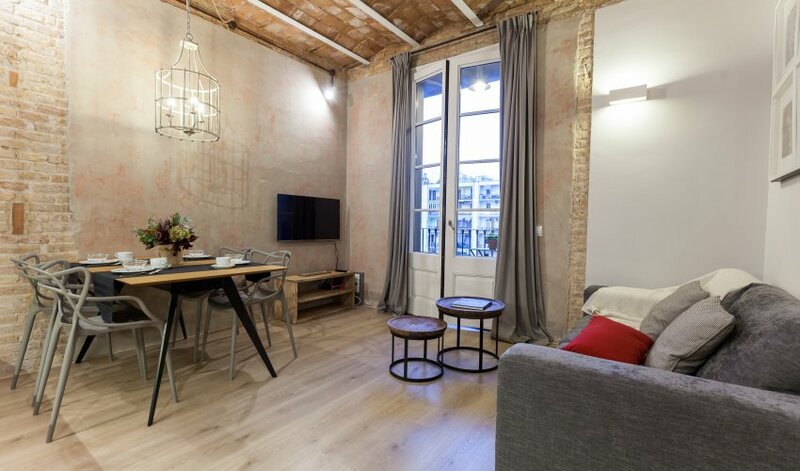 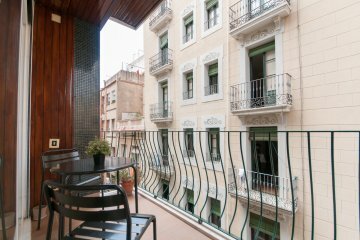 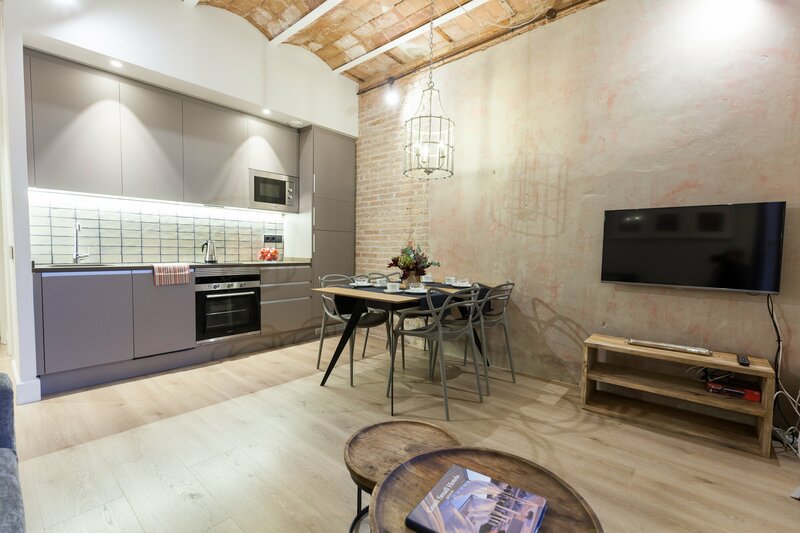 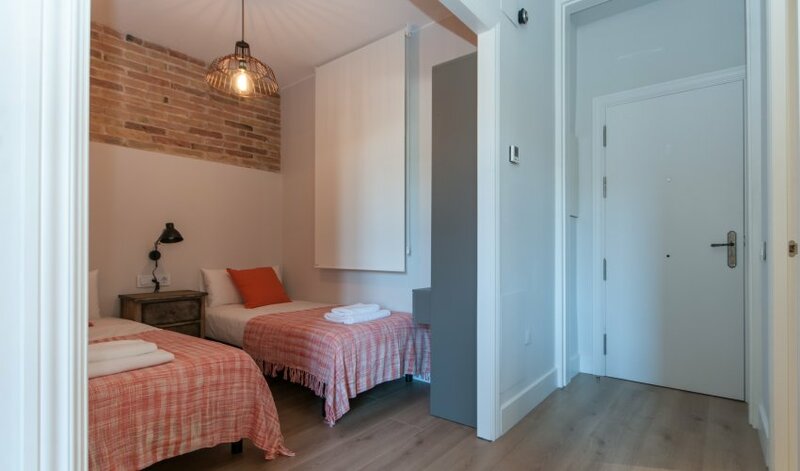 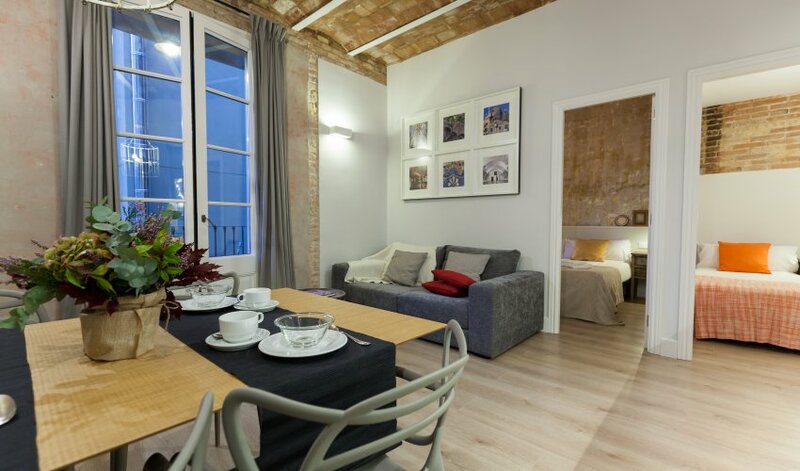 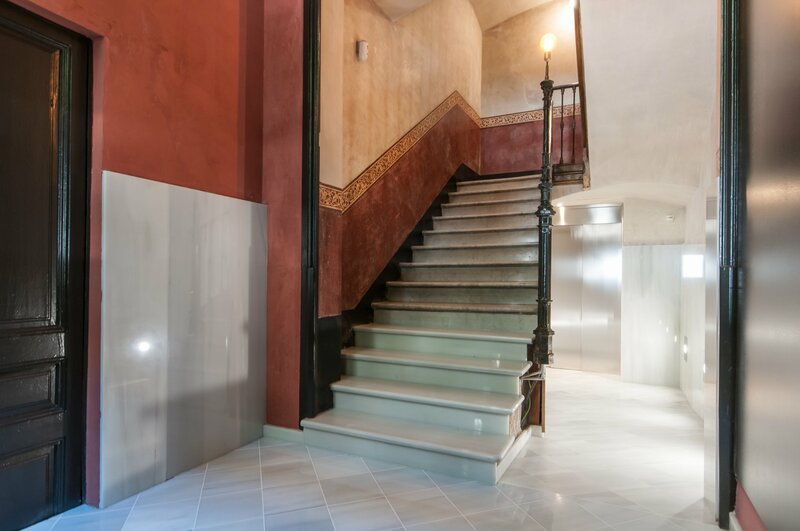 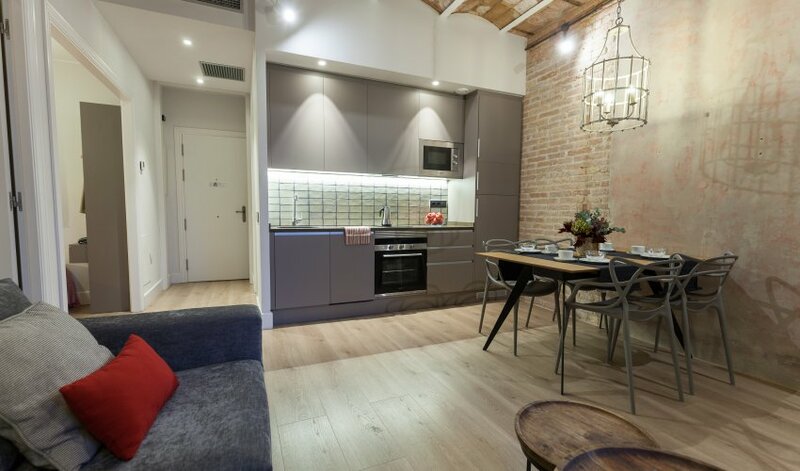 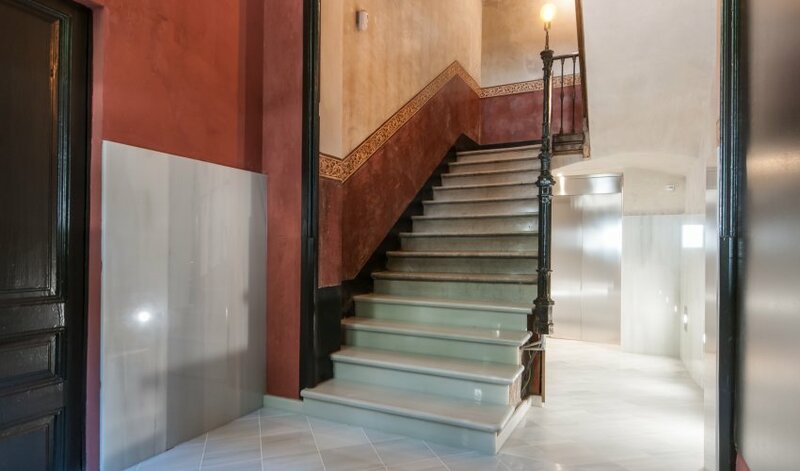 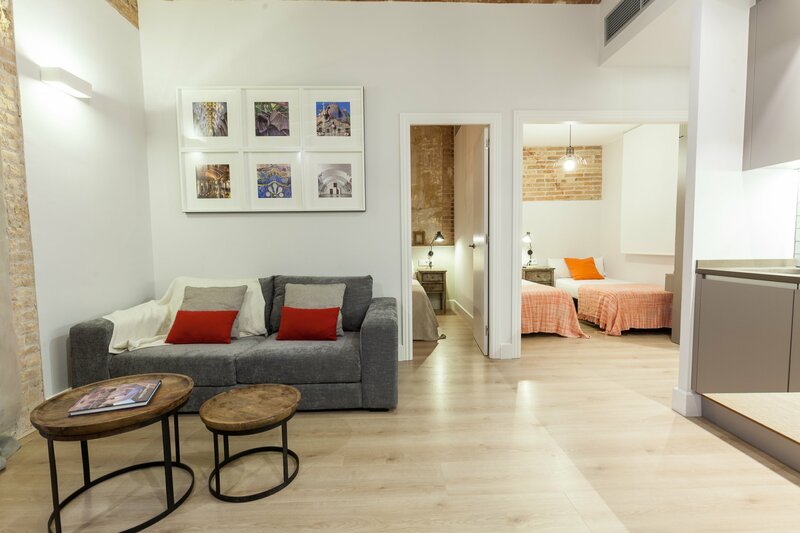 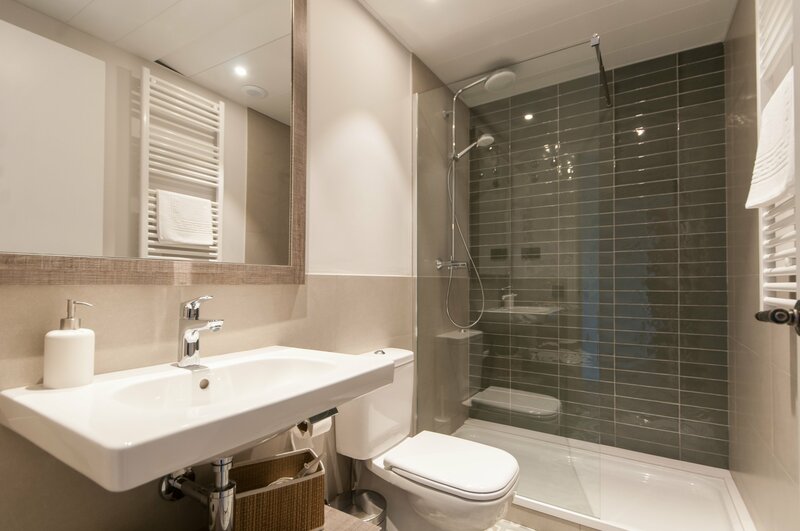 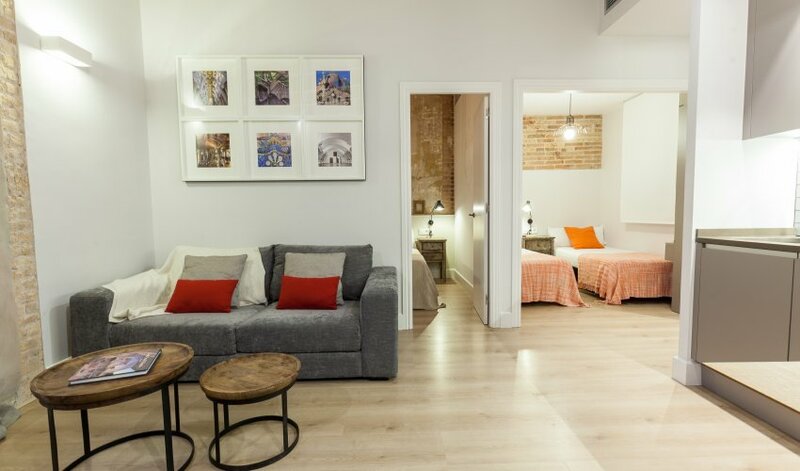 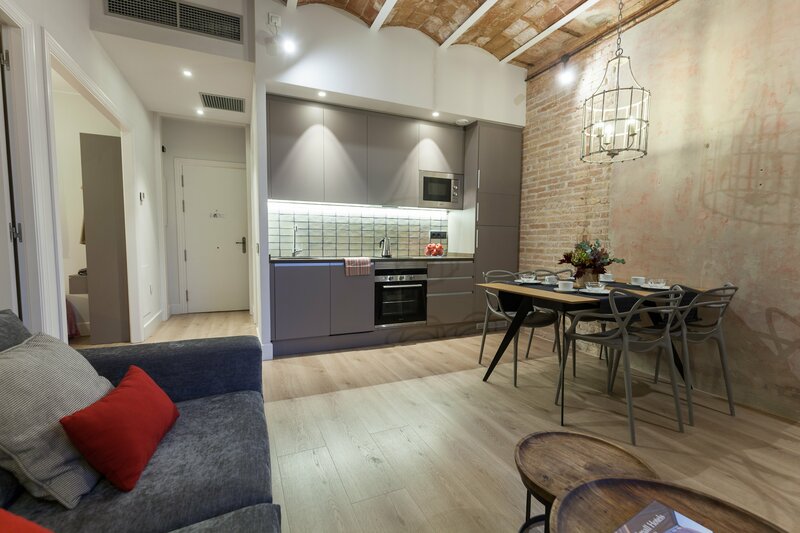 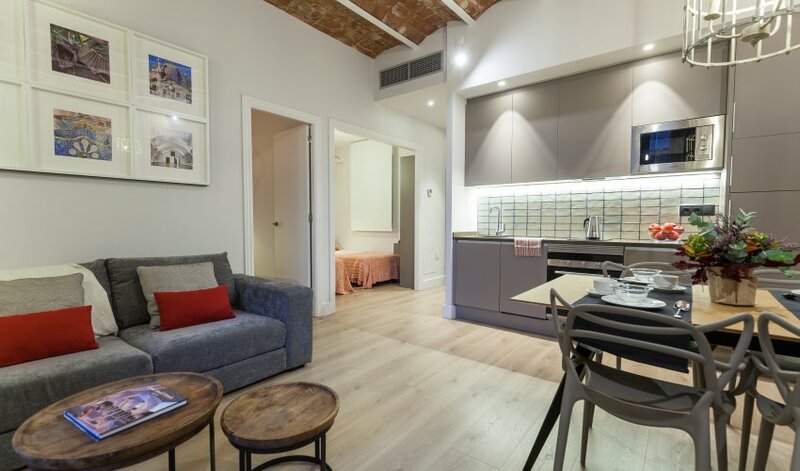 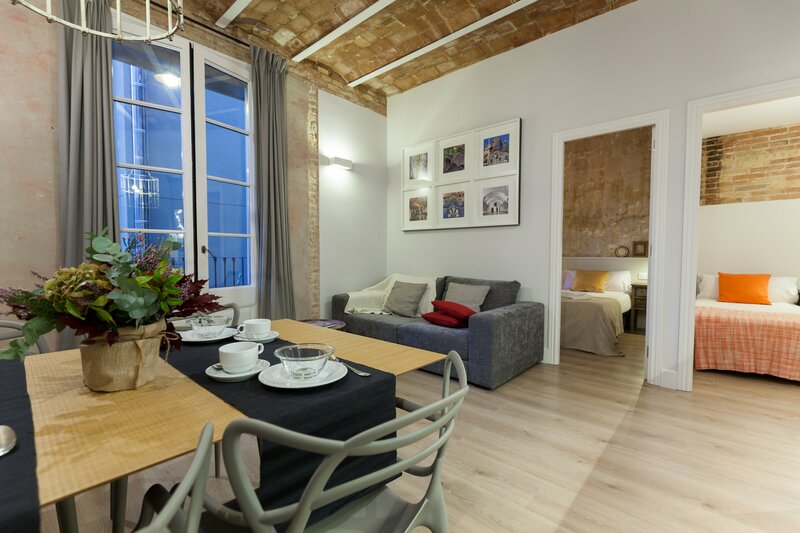 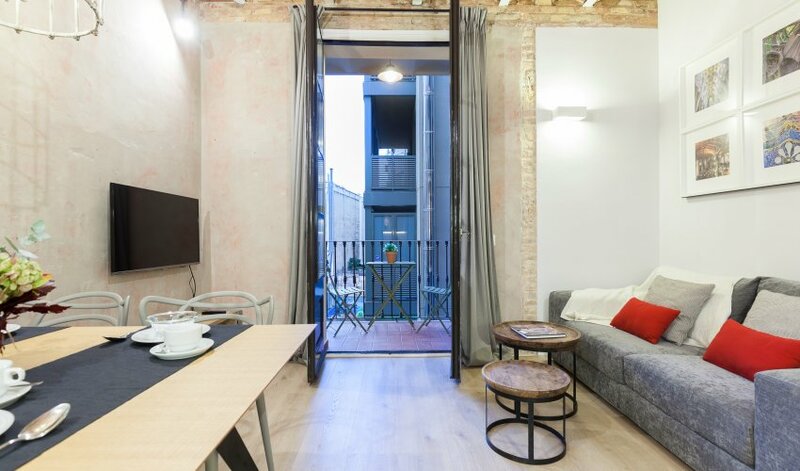 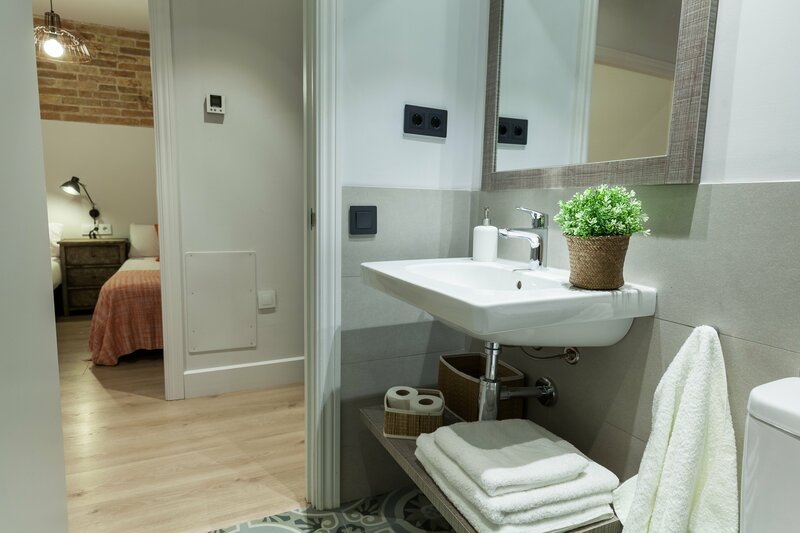 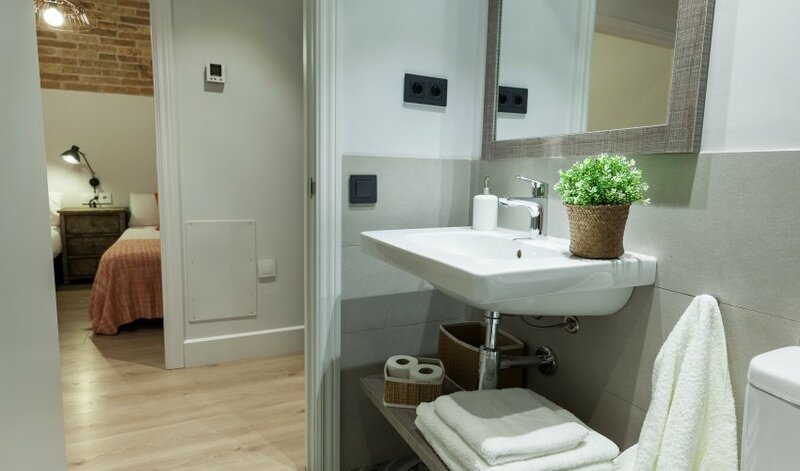 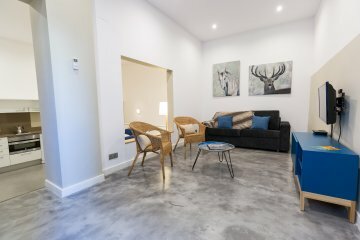 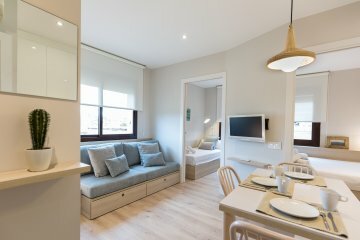 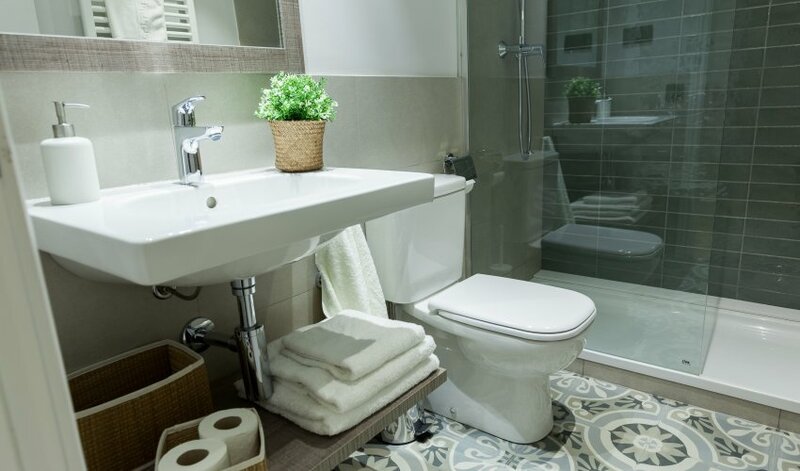 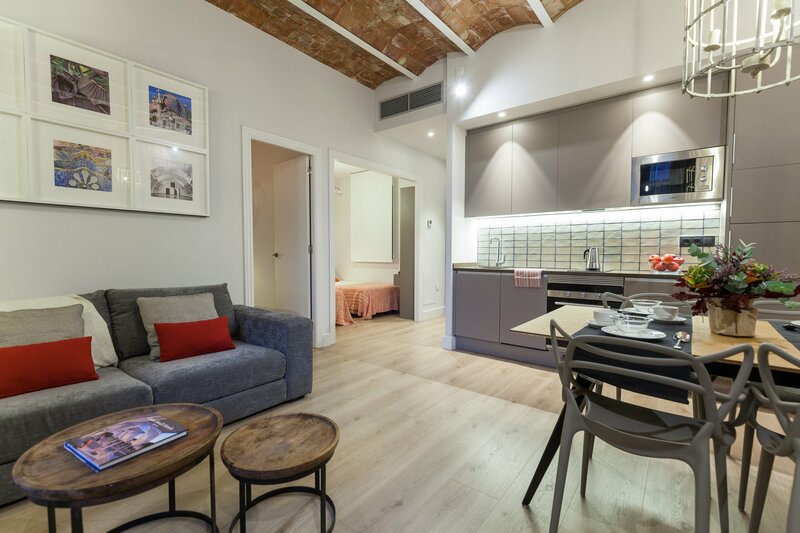 This Barcelona holiday apartments is been just renovated creating a cosy ambiance, has two double bedrooms and one spacious bathroom. 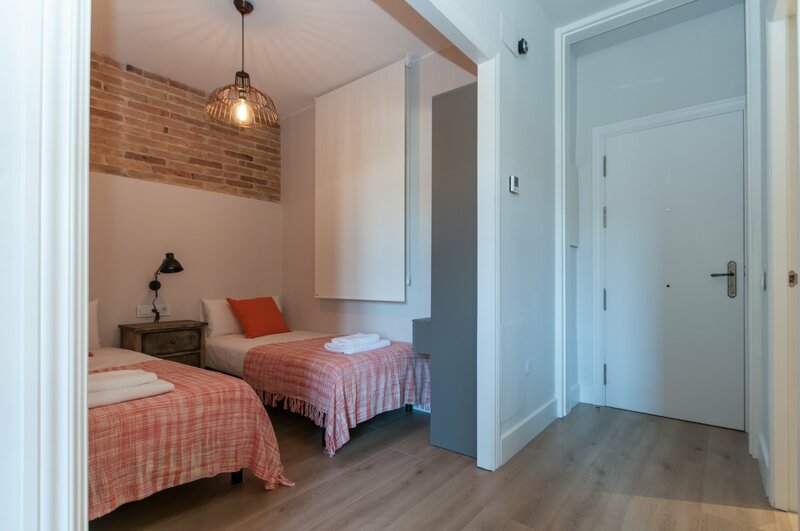 The master bedroom has queen size bed and the second bedroom has twin beds and access to the bathroom in the corridor. 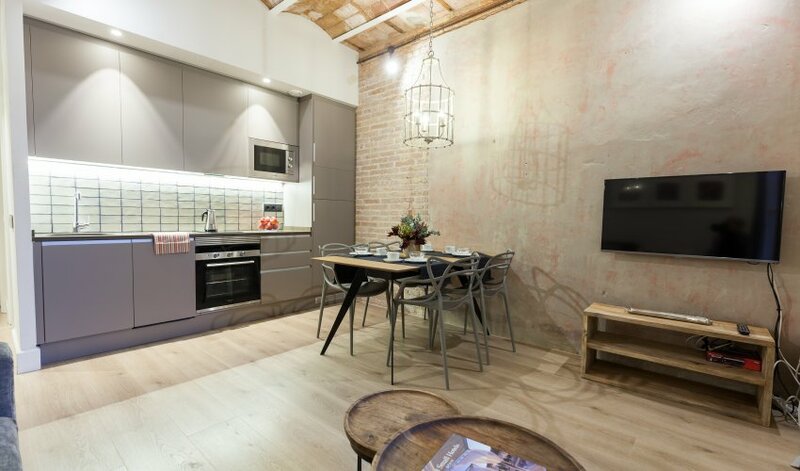 The modern kitchen is fully equipped (cooker and hob, fridge, dishwasher, toaster, microwave, coffee and kettle). 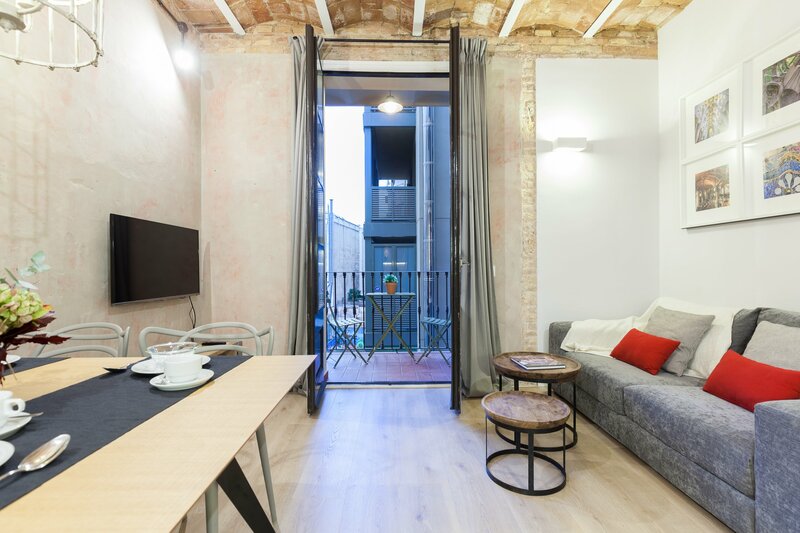 The kitchen is opened to the cosy living room and has access to an small sunny balcony. 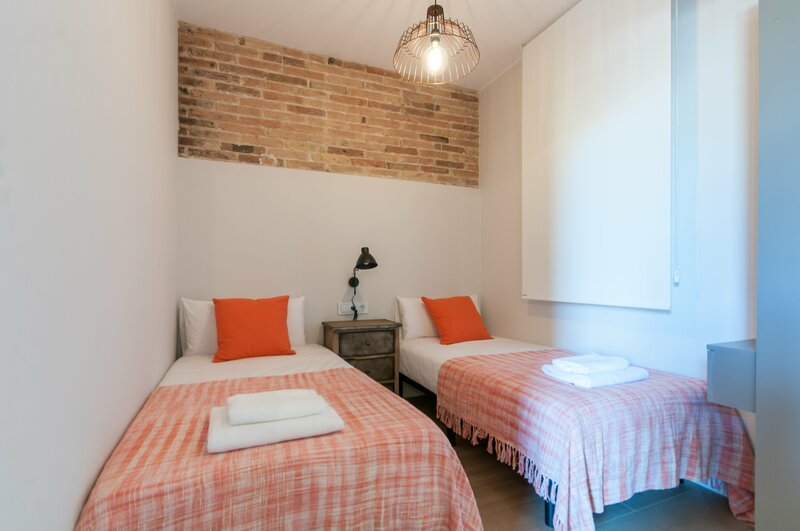 The apartment includes air conditioning and heating in all the apartment, flat-screen TV and free wifi. 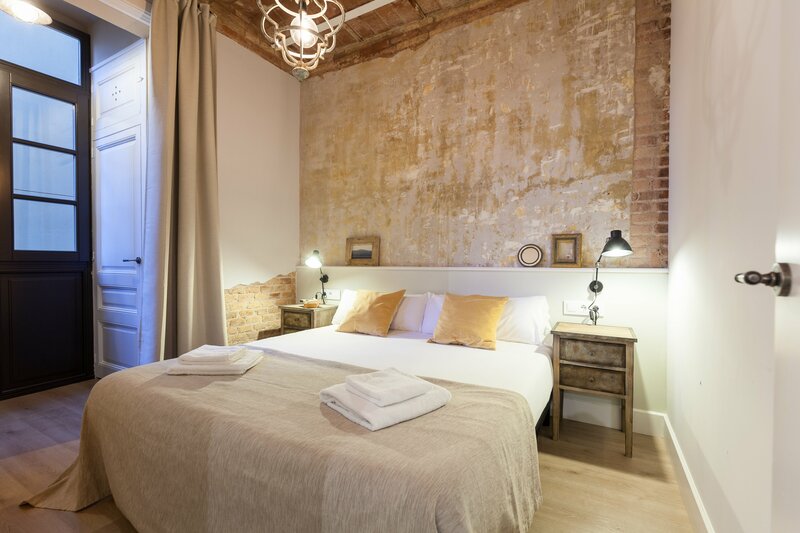 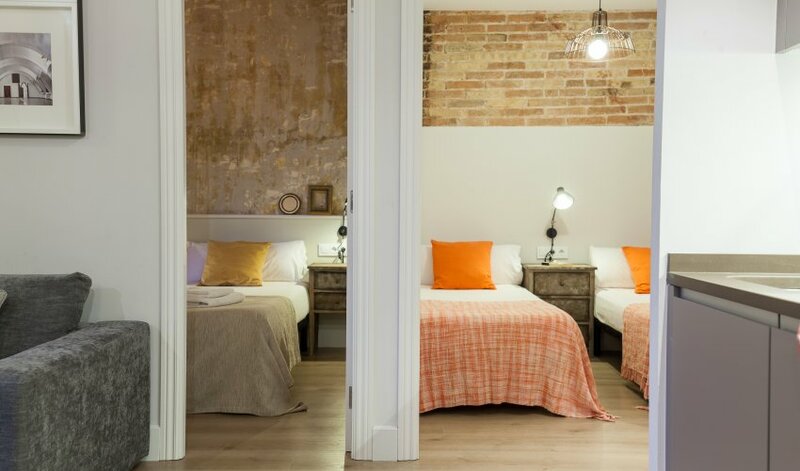 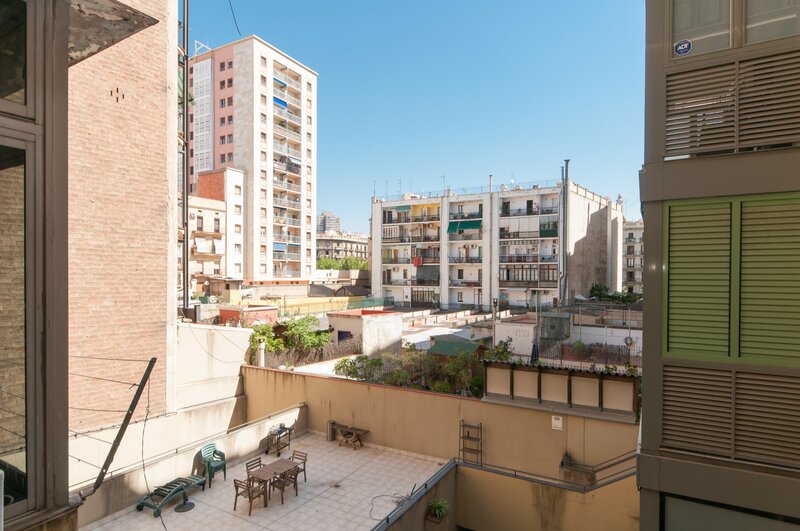 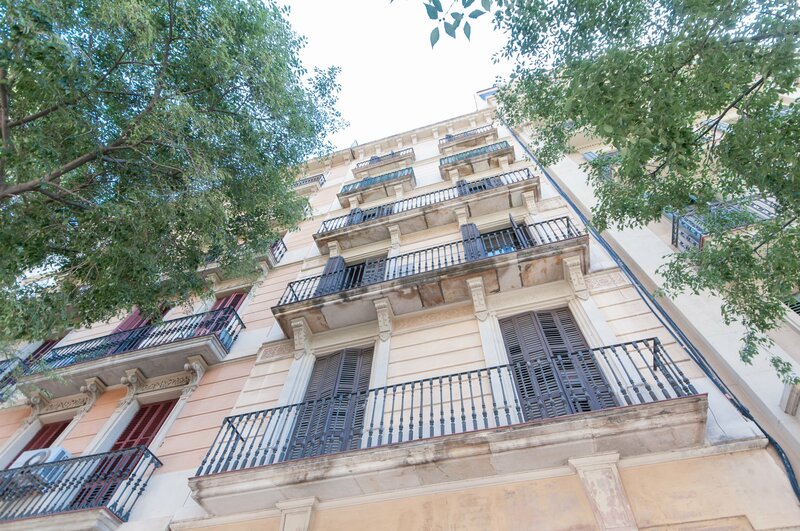 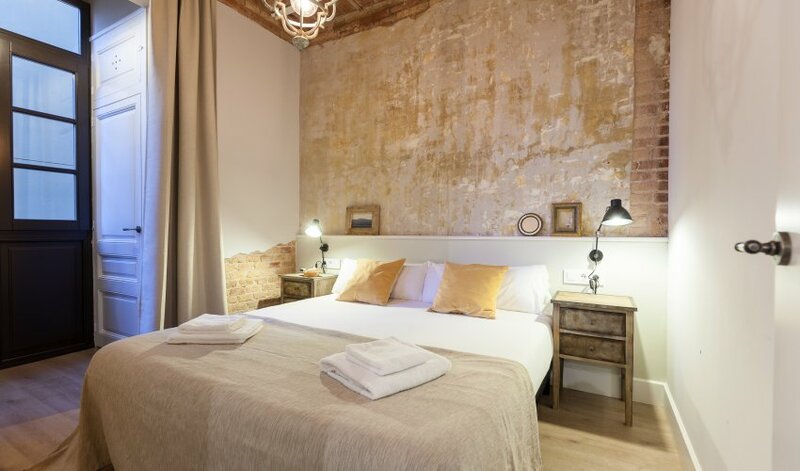 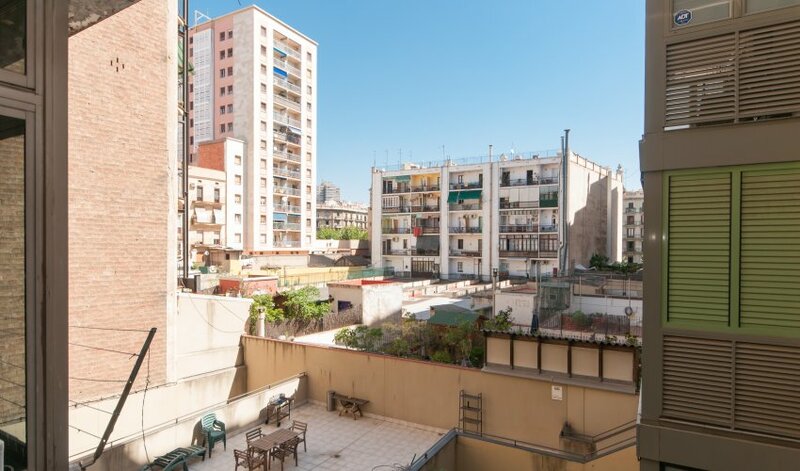 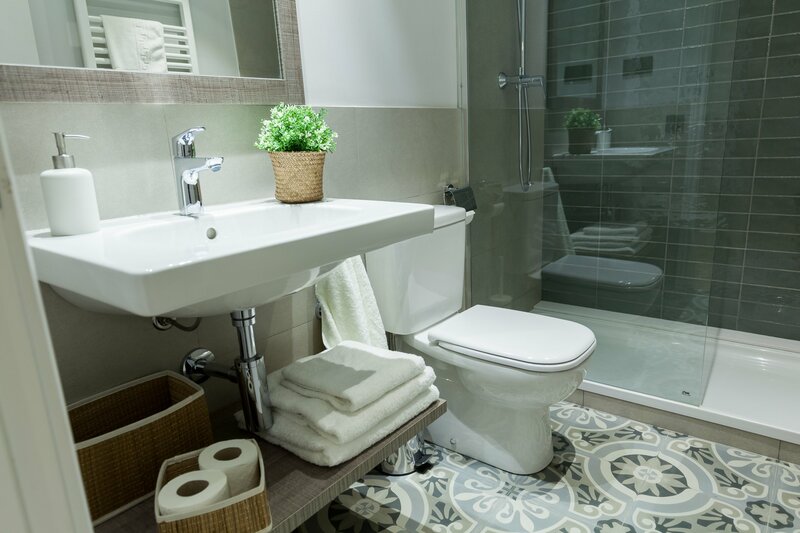 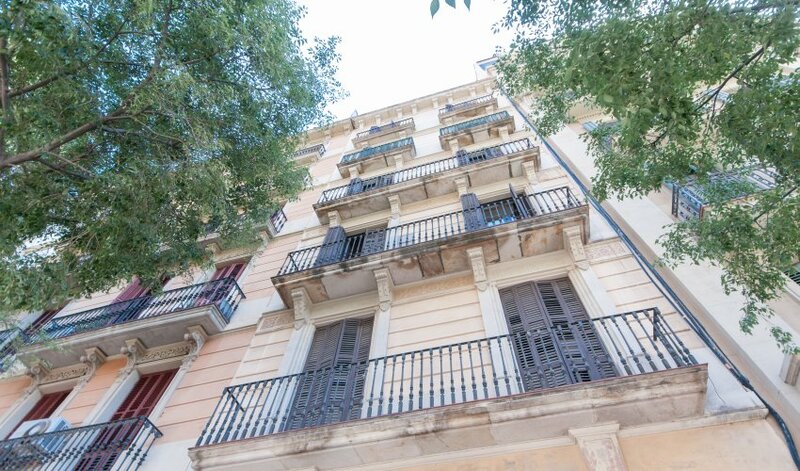 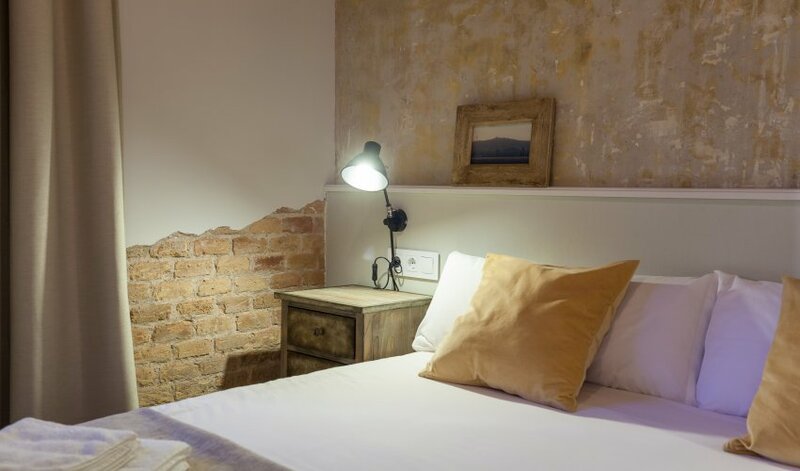 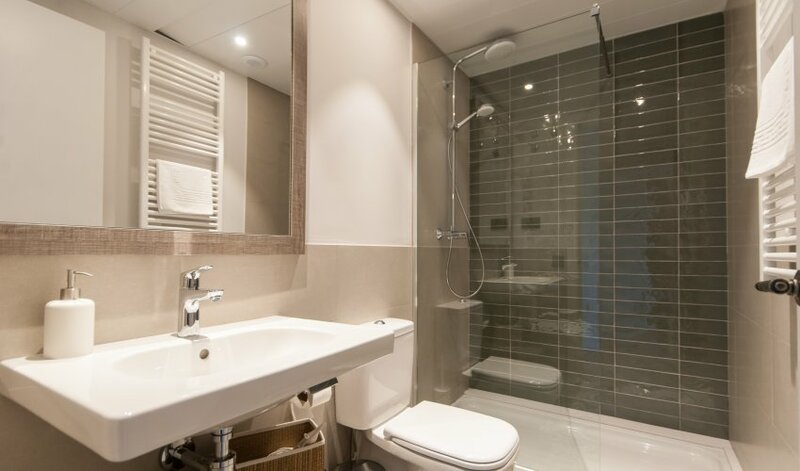 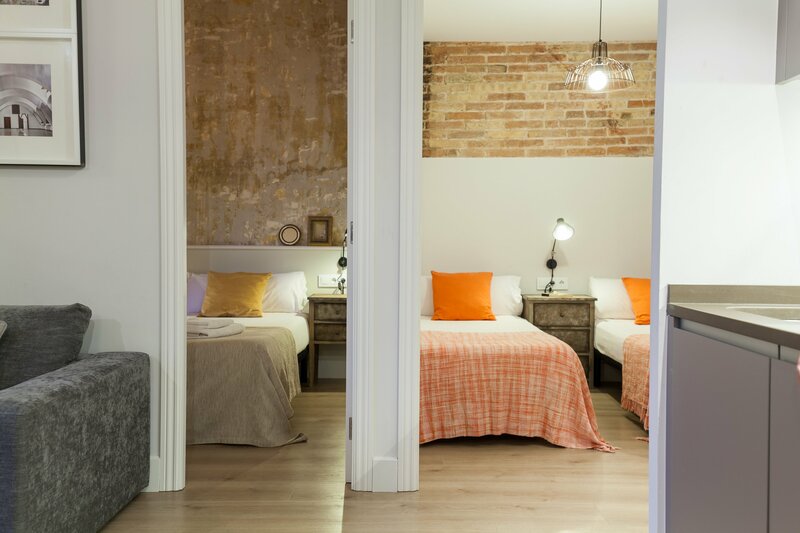 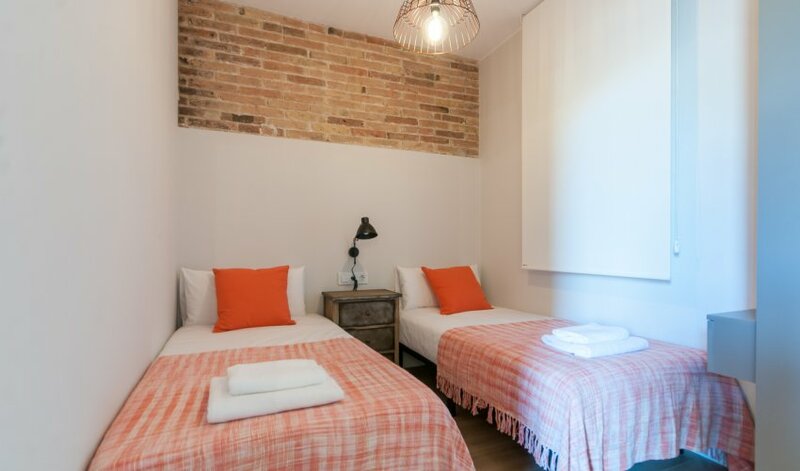 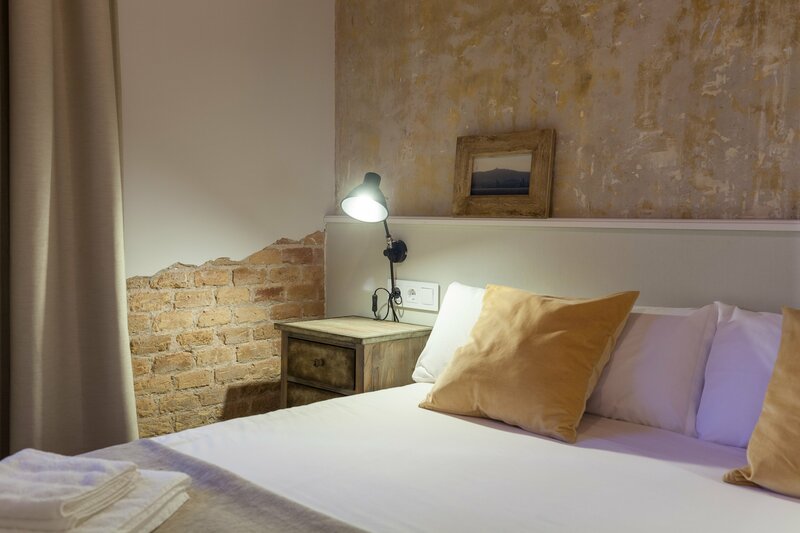 These accommodations in Barcelona city centre are available for monthly rentals and price includes utilities and a weekly cleaning.